We really want to know what you think! 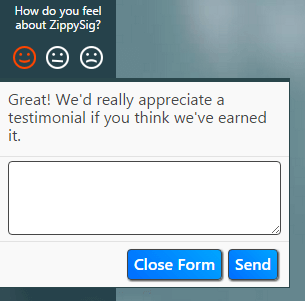 We’ve added a customer feedback form to make it easier for you to let us know what you think of Gimmio. We’re making several changes every day and we’ve got a lot of ideas for the future, but we need your help to figure out the best priority. We’d be glad to hear if you like Gimmio, but we’re also very interested in any feature requests, if you find something confusing, or even if you’d like a particular font or template layout… In some cases we can add the change right into the program just for you, so that the benefit is given to everyone!